Magento Vs Shopify Vs BigCommerce - Best E-Commerce platform for you? Picking out an unerring E-Commerce platform for your business may involve taking prudent decisions. Before taking the final call, one must consider determining a host of essential factors including the range of Themes, payment gateway integration, customization of features, simplicity and many more. To have a grandstanding platform, your chosen E-commerce platform should be more than just simple and relevant. With a substantial contribution made by big names like Magento, Big Commerce and Shoppify, this write-up shall give you an honest and a transparent review on what could be the most elite choice for your business based on its experience level. Templates: Design create the first impression on your website’s viewers which also turns out to be a deciding factor whether the viewers might choose to stay in your website or simply quit. For a choice that can easily make your website striking from the rest is trusting Shopify’s templates. Made by independent creative designers, Shopify templates are modernistic, compact and fresh. On top of it, customizing Shopify templates is easy Apart from their 26 free templates they also offer you a diverse range of paid templates from third party websites, allowing to explore more options to choose your dream design. The templates are customized using a language called Liquid. Features: Shopify offers about 70 payment gateway options which however might vary from country to country. The most extensively used payment gateways including Paypal, Stripe, Authorize.net and Shopify’s very own payment gateway. With its built in blogging options, Shoppify easily makes the E-commerce website more interactive and SEO enabled. Include Shopify’s efficient point of sale transactions, the most outstanding of all features is the 500 Apps (read our Most popular shopify apps) that shopify gifts its E-commerce owners, by which they can conveniently carry out their day to day business tasks. User Friendliness: If your E-commerce site should define simplicity by all means, Shopify is the platform that you will adore. Despite its unconventional approach to add sub pages and insert multi-page contents, it is of great use for new-comers in E-commerce business who have no practical knowledge in coding. With elementary procedures and an easy-breezy content management system, your site maintenance can be an effortless task in contrast to other platforms. If need be, you can simply grasp the “Liquid” programming codes (a darn easy language) and customize your themes. SEO friendliness: Shopify generates superb SEO advantages through its multitudinous apps like Email marketing, social media integration and discounted coupons and gift cards to attract more customers. It also provides SEO-boosted content management system and in-built analytics that keeps track of the website’s periodic progress in sales. Pricing: Depending on the experience level of your business, Shopify allows you to choose from the most imposing pricing plans of other platforms like Lite ($9/month), Basic($29/month), Pro($79/month) and unlimited($179/month). Whether you want a small website with no online store management or an E-commerce website that covers advanced options like carrier shipping, Shopify offers great flexibility in its pricing structures. 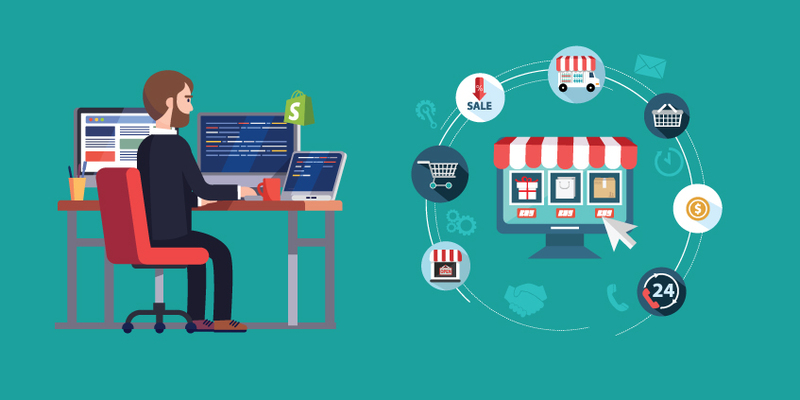 Development Cost: Although Shopify makes it easy for building an E-commerce platform by yourself, however, making sure that all the technologies are flawlessly integrated with your E-commerce platform, we assure you an impeccable custom shopify store development at $50/hour. Templates: With 7 free templates and 67 paid templates, BigCommerce allows less varieties in theme options unlike Shoppify. Although its templates are professional and admirable, yet their designs lack the jauntiness and stylishness, where Shopify is an old winner. It uses a simple HTML and CSS framework to customize the templates unlike their advanced versions that are used by Magento. User-friendliness: BigCommerce offers attention to detail customization features. Although Shoppify rules with its simplified features, however it often makes simple tasks like adding several product images slightly difficult. To look after these small features along with a few additional , BigCommerce masters with its advanced functionalities giving a profound user experience. Pricing: With lesser pricing plans, BigCommerce primarily include plans like Silver ($29.99), Gold ($79.99) and platinum ($199.99) version. BigCommerce also accommodates custom pricing for advanced level businesses. SEO-Friendliness: Despite Bigcommerce’s previous record on average SEO-results it has now competing Magento and Shopify with some newly introduced features that optimize a higher return with greater chances of lead conversion. Promising almost 1/4th the cost that Magento offers, BigCommerce is undoubtedly creating its mark with its un-parallel SEO-friendliness. 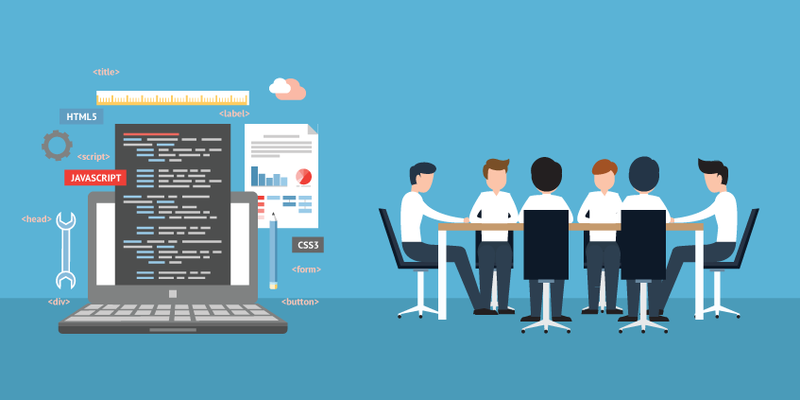 Development Cost: Although BigCommerce is based on an intermediate level understanding of HTML and CSS, however you would surely need to rely on capable hands to trust your E-commerce website’s proper functioning. Our hourly rate for building a fantastic BigCommerce e-commerce store is $50/hour. Templates: Magento (community edition) offers scores of free templates that exceeds the number of free templates offered by both BigCommerce and Shopify. 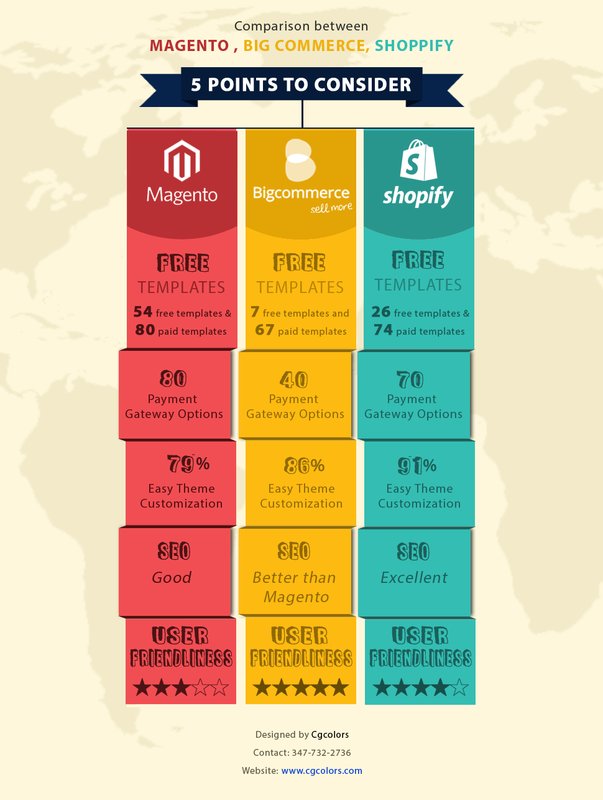 Although Shopify still wins the race with its offbeat and contemporary designs however Magento promises a surprisingly reasonable rate with its paid themes that starts at $1 in contrast to Shopify’s paid themes starting at $80. Features: Magento cracks the deal with its completely defined features to control the inventories, exhibit products, track down orders, fix the prices and even manage international shipping information. It allows an unlimited addition and selling of items. However unlike Shopify and BigCommerce, it gives restricted options in payment gateways. Overall, the editions for Community and enterprise give an amazing insight to build an exceptionally well managed advanced E-commerce site for your online business. User-friendliness: Although Magento is open source, yet it demands dexterous professionals with adequate knowledge in Advanced HTML and CSS for its modifications. This is quite a contrast to Shopify where it’s easy customization features make it score higher than any other E-commerce platform. Magento makes intricate details matter a lot and defines a unique user-friendliness that other platforms may lack. SEO Friendliness: Magento competes with Shopify neck to neck with its SEO friendliness. However with about 5000 apps it creates more horizons to a better SEO for your E-Commerce business. Pricing: Magento is resource hungry platform which always need exceptional coders along with high speed servers, however surprisingly Magento community edition is free and open source, so you wouldn’t have to worry about any monthly fee on top of development/hosting. In spite of the fact that Magento Enterprise edition involves custom pricing, many companies swear by its free version. Development Cost: With the varying costs in hourly rates taken by different coders, we offer a reasonable solution with $75/hour for building a fully fledged custom Magento E-commerce store. Magento can blatantly be called the most compelling E-commerce platform solution due to its robustness. With its multifaceted features for strong online businesses, its E-commerce solutions can be secondary to none. However if your business is going to set its first foot in the E-commerce industry, then Shopify can be the easiest and perhaps the most effective solution. Its vast use of apps can make your business explore different niche to open new windows for online sales. BigCommerce’s gripping themes are emphatically worth paying for. Many much needed in-built features while some accompanied with apps, Bigcommerce can be a fair option for Entrepreneurs who emphasize on design as well user friendliness. 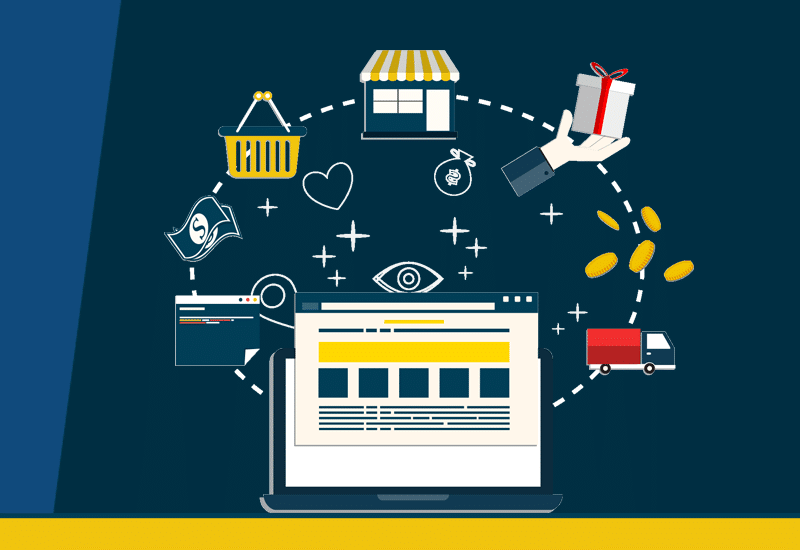 To take an absolute decision for your E-commerce development, we strongly suggest you to analyze every aspect of your business requirements and finalize a budget that could cover for all the above features. Good Luck! How to Prepare Your Store for Black Friday and Cyber Monday Sales?